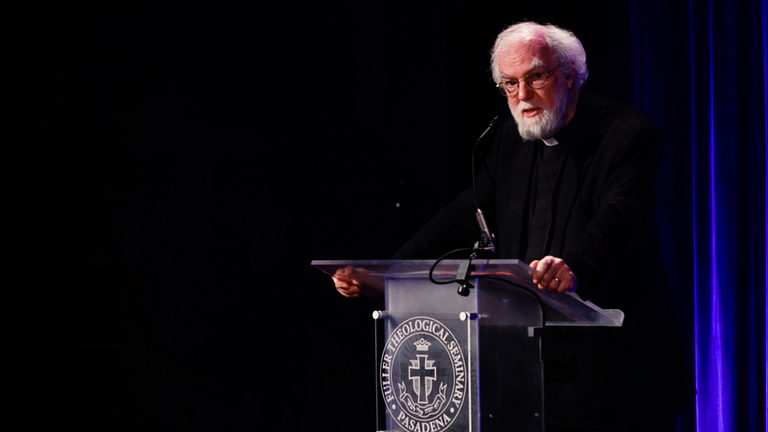 + The Right Reverend Rowan Williams, 104th Archbishop of Canterbury, lectures on the complex—and often fraught—overlap between the political language of “human rights” and a theological account of human personhood. + Clifton R. Clarke, associate dean for the William E. Pannell Center for African American Church Studies, responds to Rowan Williams’ first lecture by exploring rights discourse in relationship to global policies, colonialism, and white supremacy. + Matthew Kaemingk, associate dean for Fuller Texas and assistant professor of Christian ethics, responds to Rowan Williams’ first lecture by exploring Islamophobia, a culture longing for justice and reciprocity, and communal life.